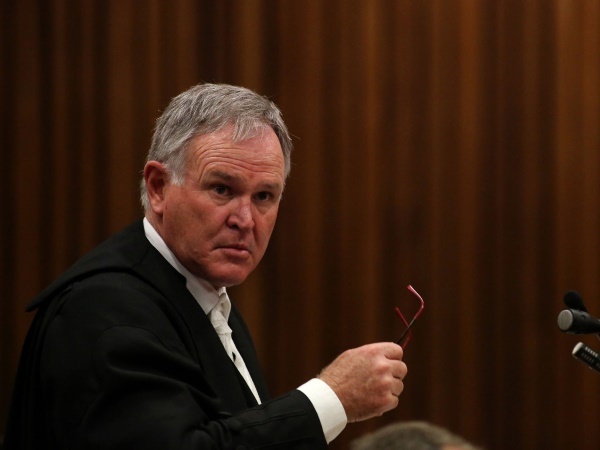 The judge in Oscar Pistorius's murder trial chided defence lawyer Barry Roux, SC, over the questioning of a witness on Tuesday. Police photographer Warrant Officer Barend van Staden was being cross-examined in the High Court in Pretoria over his labelling of the photographs he took of the front and back of a blood-smeared Lazer cricket bat. Roux was pointing out slight differences in photographs of the same scene taken at Pistorius's home after he shot his girlfriend Reeva Steenkamp dead on February 14 2013. He was asking Van Staden to explain them. Van Staden had just explained he had turned the bat over to get a view of the back side -- which was pictured with its autographs. "Have you ever played cricket?" Roux asked Van Staden. He replied he had not, but to a follow up question said he had watched the game before. "Have you ever seen them hitting the bat with the back side?" asked Roux. "No, your honour," replied Van Staden. He was asked twice by Roux which side the batsman hits with and replied: "The flat side, your honour". He added this was just his opinion of what the front side and back side was. 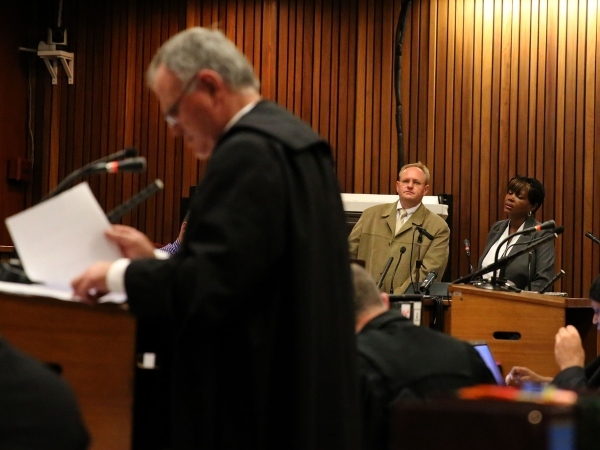 Prosecutor Gerrie Nel complained to Judge Thokozile Masipa that Van Staden was being ridiculed by Roux, and had answered the question when Roux swooped in again over the labelling of the bat. Roux was about to rebuff Nel, when Masipa said to Roux: "To start with, you cannot argue with a witness... you cannot argue with a witness." "Yes, but... but...," stammered Roux, who has gained a cult following over his relentless questioning of witnesses, then thought better of it and moved on to another line of questioning. Pistorius has pleaded not guilty to the charge of murdering Steenkamp and for violating the Firearms Act by allegedly discharging a firearm at a restaurant in Johannesburg and firing a shot out of the sunroof of a car.